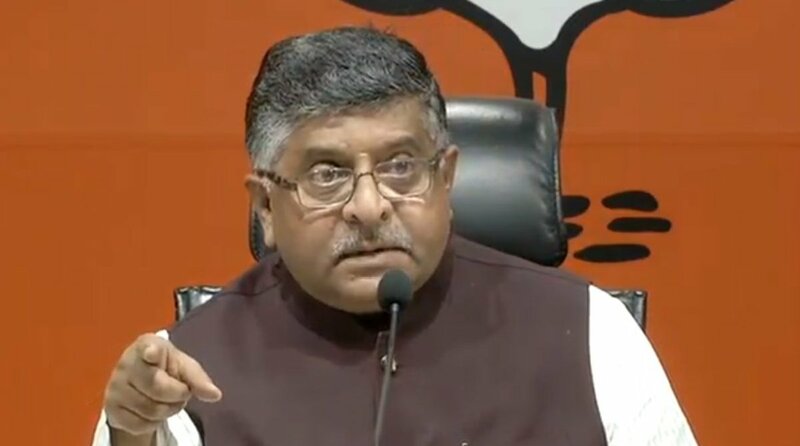 “Other senior leader, Chidambaram, has mocked Ram temple and also the Statue of Unity,” Union Minister Ravi Shankar Prasad told reporters. The BJP on Monday hit back at senior Congress leader P. Chidambaram for allegedly mocking efforts being made to build a grand Ram temple in Ayodhya and the Statue of Unity dedicated to Sardar Vallabhbhai Patel in Gujarat, saying his remarks were “utterly irresponsible and provocative”. “Today, we are witnessing a classic hypocrisy in the conduct of Congress. While Rahul Gandhi is visiting temples after temples trying to portray himself as Ram bhakt and Shiv bhakt and also invoking his Brahmin lineage for the first time. He said when the statue was inaugurated, the Congress claimed that the former Deputy Prime Minister Sardar Patel was theirs, and that the Bharatiya Janata Party was seeking to appropriate him. “Rahul Gandhi, you need to answer how do you respond to this utterly irresponsible and provocative tweet of Chidambaram designed to lower the esteem of Sardar Patel and also the Ram temple movement,” he said. The senior BJP leader said Congress leaders like Jawaharlal Nehru, Indira Gandhi, Rajiv Gandhi and Sanjay Gandhi have innumerable government schemes, prizes, awards, universities and airports to their names. “Appropriating any kind of symbolism of the modern India is the plack of the family members and here is the case of one big statue of greatest unifier of India Sardar Patel forgotten in the Congress regime. “It should not be a matter of concern to Congress if a statue is built for Sardar Vallabhbhai Patel,” he said. Chidambaram, a former Union Minister, took a dig at the BJP for promising statues and temples ahead of the 2019 Lok Sabha elections, after failing to fulfil its earlier poll promises of development and jobs. “At the beginning of five years, the promise is for development, jobs and money in every citizen’s bank account,” the Congress veteran tweeted. “Nothing achieved, at the end of five years, the new promise is for grand temples, giant statues and doles,” he said as he reminded Prime Minister Narendra Modi of his earlier promises of vikas (development), providing two crore jobs annually and bringing back black money stashed in foreign tax havens and filling up the poor man’s coffer with Rs 15 lakh each. 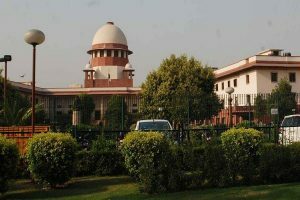 Chidambaram’s jibe at the ruling Bharatiya Janata Party came at a time when the saffron brigade has been raising the pitch for the construction of a grand Ram temple in Ayodhya.